One of the objectives of WOB is to provide career guidance, coaching and mentoring programs for women to facilitate women to attain leadership positions and roles. In this regard we are happy to invite experienced professionals to express their interest to be mentors by sending an email to admin@womenonboards.org.mv .Mentor selection and formalities will be completed upon receipt of email expressing interest. Our mentors are experts who will use their ability and knowledge to guide and support young women and members of WOB who needs their guidance. Our mentors will have a one-to-one mentoring relationship or advisory mentoring relationship with mentees, sharing experience and counselling. 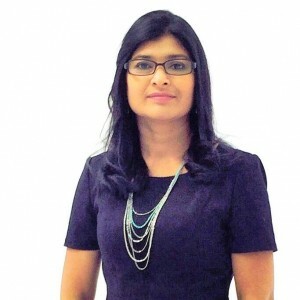 Instrumental in setting up the Capital Market Development Authority (CMDA) of Maldives, and the Institute of Corporate Directors and Secretaries, and the Capital Market and Corporate Governance Institute, Ms Fathimath Shafeega was the former Chief Executive Officer of the Capital Market Development Authority (CMDA) of Maldives. In her nine years tenure as CEO of CMDA, the foresight and forward thinking plans implemented under Ms. Shafeega’s leadership gave rise to the existing corporate governance framework and institutions in the capital market. The key institutions that were established under her direct guidance has sustained till today and are successfully operating in the market such as the Stock Exchange, the Securities Depository, the Brokers, Dealers and all other supporting frameworks for the capital market. She served in the financial sector of the Maldives for nearly three decades. She has gained vast expertise in the area of capital markets and she is among the pioneers of Islamic capital market in the Maldives. 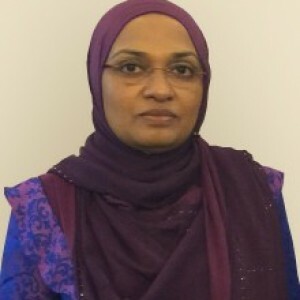 During her tenure as CEO of CMDA the first Shariah Advisory Committee was created by CMDA and as a member of this Shariah Advisory Committee, she contributed to the launching of a sukuk market in the Maldives, and signed an MOU with Ministry of Islamic Affairs to assist in the development of an Islamic Finance Center in the Maldives. She served on many national Committees and represented the Maldives on many key national and international forums. Ms. Shafeega was a member of the Board of CMDA, a member of the Small Medium Enterprises Council, a board member of the Institute of Corporate Directors and Secretaries. Ms. Shafeega is currently the Chairperson of Dhivehi Insurance Company Pvt. Ltd which is a private sector owned insurance company licensed by the Maldives Monetary Authority. Ms. Shafeega is also a Board Director of the Maldives Islamic Bank and the Chairperson of the Audit Committee of the Maldives Islamic Bank. She is also the Senior Advisor of the Leading Corporate Group Ensis Group of Companies. She co-founded Women on Boards NGO and is the President of Women on Boards NGO that works towards empowerment of women leaders especially in the Maldivian financial sector. Ms. Shafeega has received the Prestigious Rehendi Award which is awarded by the Government of Maldives to recognize outstanding service of women to national development and the society. Dr. Aishath Muneeza is the first female Deputy Minister of Ministry of Islamic Affairs, Maldives. 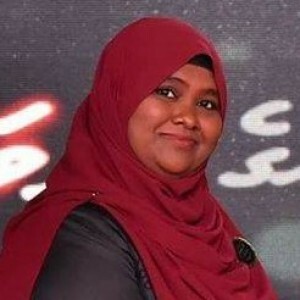 She is the Islamic finance advisor for the Capital Market Development Authority, the regulatory body for the capital markets of Maldives and is also the Chairwoman of the Capital Market Shari’ah Advisory Council. 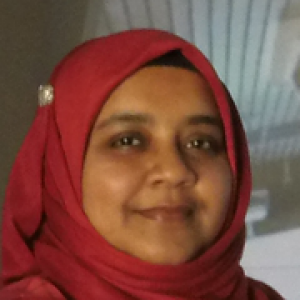 She sits on the National Fiqh Academy (National Fatawa Council) of Maldives and is also the Islamic Finance Consultant for the Central Bank of Maldives, the Maldives Monetary Authority and Ministry of Finance & Treasury. Dr. Khadeeja is one of the most qualified professional women in Maldives and has a distinguished career in academia. We are honoured to facilitate her services to WOB members and the youth of Maldives on a pro bono basis. She is a researcher in education who explores the implications of embodied approaches to teaching and learning by focusing on available technologies. Her qualifications include PhD (Doctoral Degree – University of Alberta, 2007). 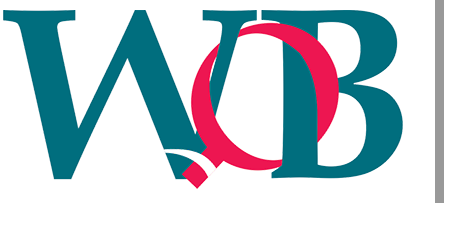 MA (Masters Degree – Macquarie University, 1996). BEd (Bachelors Degree – Edith Cowan University, 1995). BA (Bachelors Degree – Edith Cowan University, 1993). She has authored many articles in international publications and presented in seminars internationally. We are honoured to facilitate the services of Uza. Samiya Zakariyya to WOB members and the youth of Maldives on a pro bono basis. 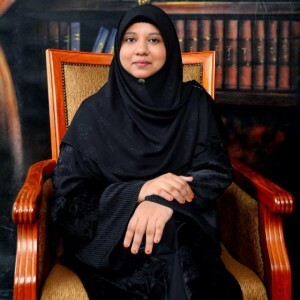 Uza Samiya is a highly qualified professional woman who is specialized in Shariah knowledge and a Lecturer at Islamic University of Maldives. The President of Maldives has conferred the prestigious Rehendi Award, to Uza. Samiya in recognition of her outstanding service to national development and the society on 8th of March 2017. Uza Samiya is also the former principal at Al Madhrasathul Arabiyyathul Islamiyya, a visiting Lecturer at Villa College and a Member of the Shariah Advisory Council at Capital Market Development Authority. Uza Samiya has completed a Master’s Degree in Islamic Revealed Knowledge and Haritage at IIUM (International Islamic University Malaysia), and also completed a Bacholar in Shariah at Al-Azhar University.You may contact her through email: samiya12h@gmail.com. Ms. Ibthishama is a highly qualified and experienced professional with 14 years of experience in the area of business management , strategic planning , project management, Human Resources training and development, finance and Banking. 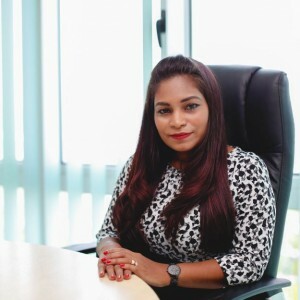 She presently works as the General Manager of Addu International Airport Pvt Ltd and is also a member of the board of directors of Bank of Maldives since 2015. She holds to her credit Master of Arts in Marketing communications from University of Westminster, London and Bachelor of Commerce specializing in travel and tourism management from University of Kerala, India and has been credited with diploma in directorship from Singapore Management University. She is passionate about working progressively to develop and build resources in organisations for efficiency and effectiveness. M. Westend 3rd floor, Handhuvaree Hingun, P.O.Box 23000 Male’ Maldives.